We’re all looking to trade up or make ends meet more easily. Whether you want to supplement your income, launch a brand new career, or start working as your own boss, these training packages from TNW Deals can show you how to develop a side hustle into a success. Every company could use some help with the books. 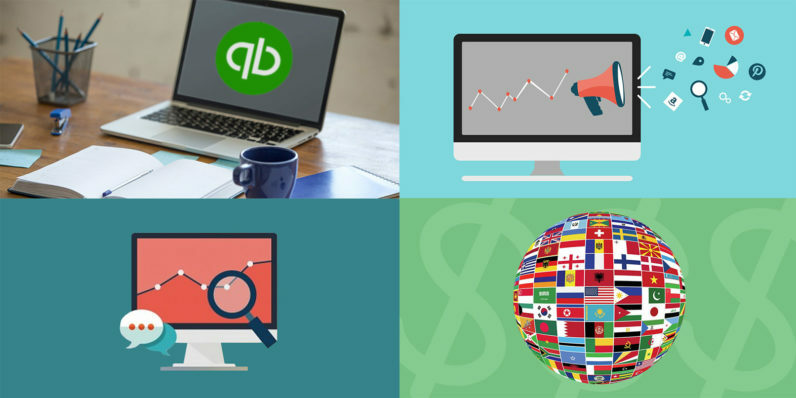 Intuit’s industry-leading QuickBooks Pro is one of the top bookkeeping tools on the market, and this course will help you master it. You’ll know how to track financials and employees, reconcile bank statements, manage customers and vendors, and even create your own documents to ensure invoices, deposits and all the other numbers add up. Buy now: You can get this QuickBooks Pro 2017 training for 80 percent off, only $19.99 with this limited time offer. Selling online is a whole new retail world, and you can learn how to succeed there with this six-course Internet Marketplace Entrepreneur Bundle. You’ll take deep looks at international web venues like Alibaba, eBay, Amazon and more, discovering the nuances of each to better understand the market, position your product effectively, and ultimately drive up your sales. Buy now: Get almost 40 hours of expert web sales instruction for just $49. No matter how great your product, getting your goods and services in front of busy potential customers is no easy task — which is where the Digital Entrepreneur Bundle comes in. From harnessing the power of SEO to the marketing advantages of social media, you’ll get all the tips and tricks effective marketers use to build real, sustainable business growth online. Buy now: These seven courses of marketing know-how (valued at $745) are on sale right now for only $39. If you’re looking for the keys to creating a strong online business presence, this Build Your Brand package is the place to start. Over 19 lectures, you’ll learn how to leverage WordPress and social media accounts, use SEO to boost visibility and sales, and the steps for creating a strong online content strategy to keep your business relevant and thriving for years to come. Buy now: While this deal lasts, you can pick up the skills to blow up your business in the digital world for just $25.